5 Star Install, Service and Repair a comprehensive range of quality PVC strip curtains for all applications. PVC Strip Curtains can be so efficient that they can save their installation costs in a single winter. Thousands of these low cost, energy efficient products are in use within a huge range of businesses, saving millions of pounds in wasted heat throughout the UK. 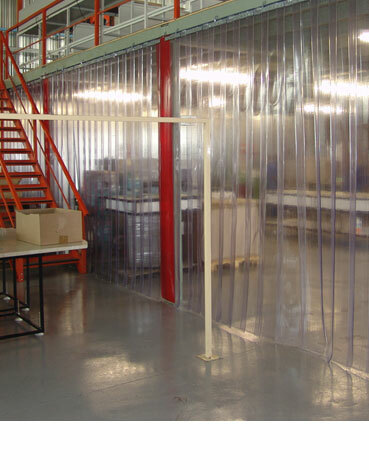 PVC Strip Curtains provide an excellent solution to protecting employees or products from adverse environmental conditions such as noise, heat, cold, humidity, dust and drafts. PVC strip curtains and doors are extremely versatile and have been used for a wide range of applications such as incoming goods and door kit systems to freezer and coldstore applications, data centres, supermarkets, shops, bakeries, care homes, public houses and more. 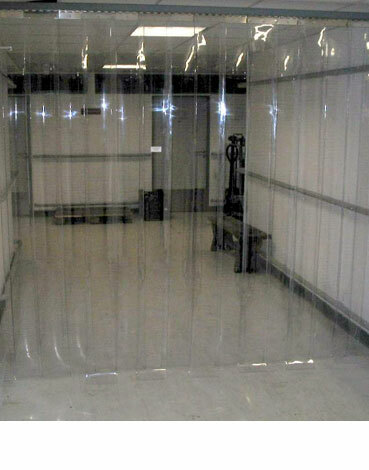 PVC Strip Curtains and doors have a number of significant benefits over other industrial door systems One key feature is the high degree of visibility provided by the PVC Strips which enable personnel to see obstacles through the PVC Strips prior to entering or exiting a working area. This can assist in reducing collisions or accidents in the workplace and reducing health and safety incidents. PVC Strip Curtains & Doors installation & Repair for all the South West. 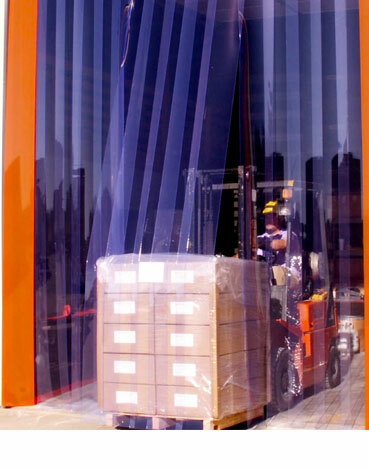 We ensure all PVC Strip Curtains & Doors operate & function in line with current legislation. When used as an external door PVC Strip Curtains are versitile and offer cost effective solutions for many types of business. PVC Strip curtains and Doors are not just for external use they function as excellent internal doors and screens. A versitile form of internal sectioning, for warehouses and a multitude of other commercial premisis. If you would like to know more about the PVC Strip Curtains we can install, repair or service, have a question or would like to request a free survey and quotation then please call us, we are more than happy to help.